During the first round of the 2019 SRO E-Sport GT Series at the opening round of the Blancpain GT Series in Monza, Kunos Simulazioni proudly announced that the full version of Assetto Corsa Competizione will be released on May 29th, 2019. For now, keep on racing the early access version and enjoy the new ACC launch trailer. Currently, Assetto Corsa Competizione is available as an early access title. 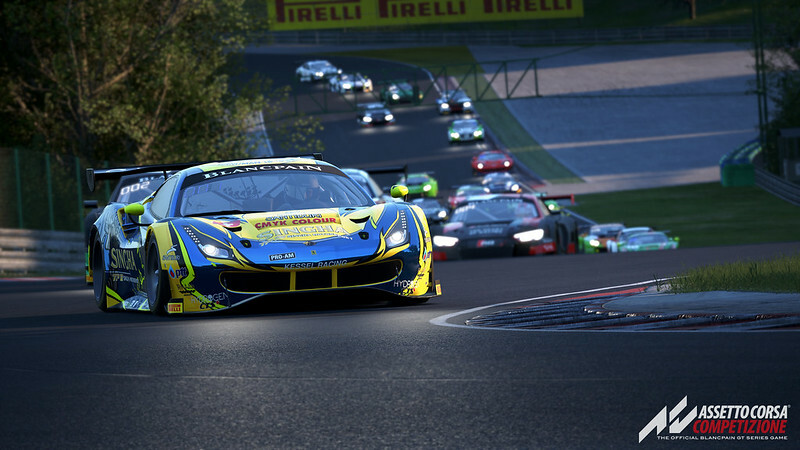 In the final version of the game, players can expect advanced multiplayer functionality with Assetto Corsa Competizione, including a ranking system which will evaluate individual performance and driving behavior to reward the most virtuous drivers and promote fair play in online competitions.